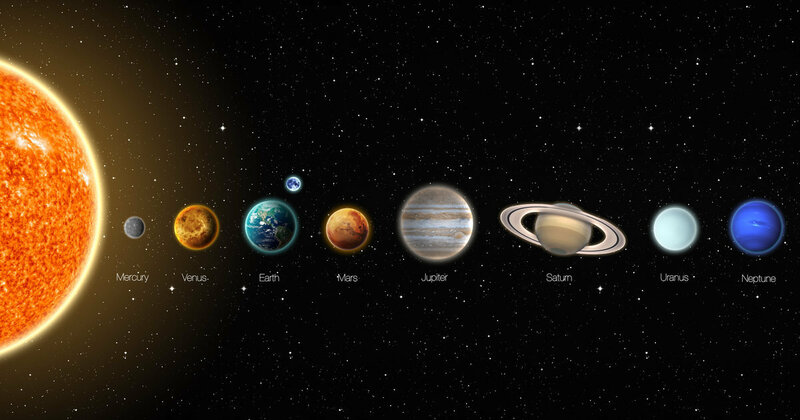 Researchers are now pretty certain there’s a ninth planet in the solar system. Konstantin Batygin and Mike Brown, two CalTech scientists, say the new planet is about 10 times the mass of Earth and has an atmosphere of hydrogen and helium. Science magazine reports that the mysterious “Planet X” moves in a distant orbit beyond Neptune. The researchers haven’t observed Planet X itself, but believe it exists because of the unique configuration of six objects when they come closest to the sun, according to Science. The scientists say that there’s a 0.007 percent probability that the configuration is due to chance, and instead are confident it’s a ninth planet. They believe they will observe the planet with a telescope within five years, according to The Associated Press. So where did this possible planet come from? Scientists have previously speculated that there could be a missing planet in our solar system, with some theorizing that a collision caused it to be ejected out of our system some 4 billion years ago. That collision may have been with Jupiter. Batygin and Brown described their findings in The Astronomical Journal on Wednesday. The discovery is also the second time that Brown has reshaped the way we think about the solar system. In 2005, he made a key discovery that led scientists to reclassify Pluto as a dwarf planet. In a statement on Wednesday, Brown — whose Twitter handle is @plutokiller — alluded to the role he played in getting Pluto declassified, noting that the new discovery was 5,000 times the mass of Pluto and was definitely a planet. “All those people who are mad that Pluto is no longer a planet can be thrilled to know that there is a real planet out there still to be found,” he said.